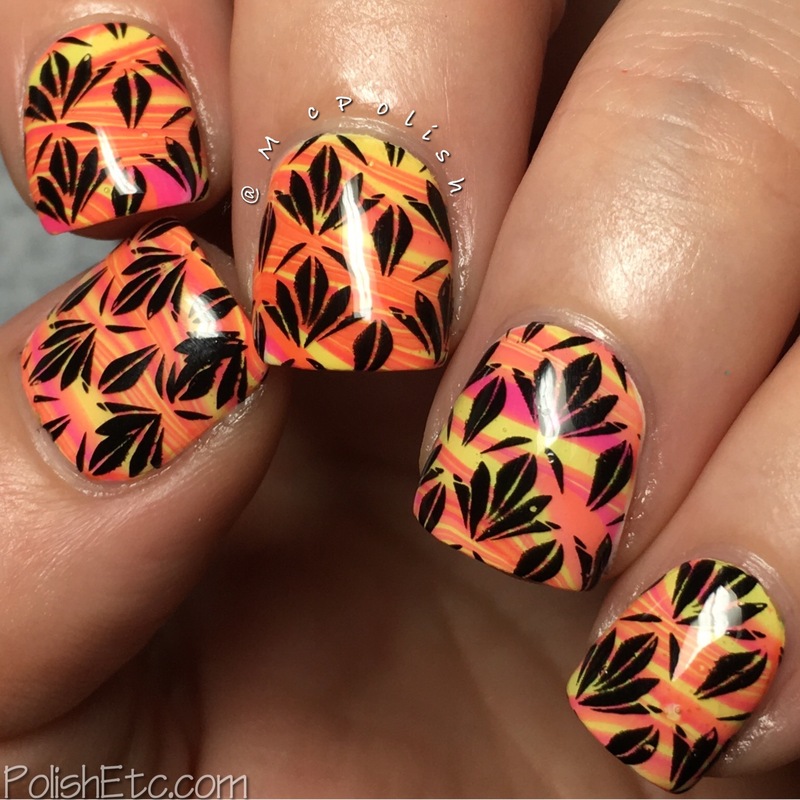 Watermarble Nails for the #31DC2017 Weekly - Polish Etc. I am just getting in my challenge nails for the week by the skin of my teeth! For the 20th week of the #31DC2017Weekly, we are doing Watermarbles. Everyone's favorite nail art technique. Haha! Some people love doing this technique while others continuously struggle. I am just average at it. I mess it ip a bunch of times before I get something that I like. I do prefer using jelly polishes for watermarbles, they just seem to spread better for me than cremes or shimmers. This week, I did a design that I haven't really done before. More of a striped look that a classic flower design. And then I stamped over it! Crazy times, yo. I started off this mani with a white base. 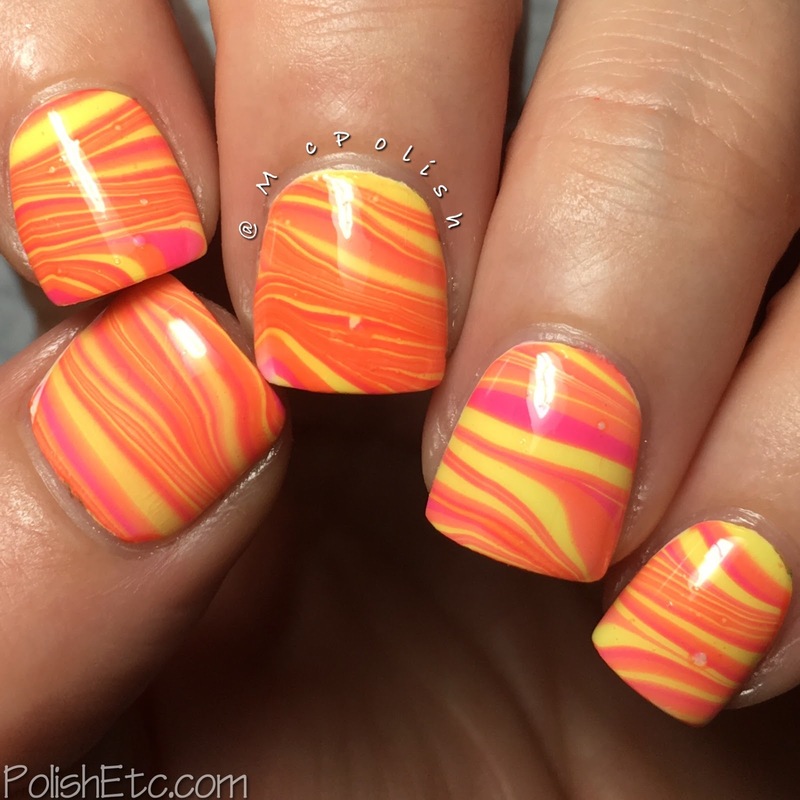 Then I used three bright jelly polishes from Pipe Dream Polish (Hippy Chick, Lava Lamp and Punch Buggy) to create the watermarble design. After clean up and top coat, I stamped over the striped design with a black polish and a pattern from the BP-L007 plate from Born Pretty Store. I wasn't really sure what I was going for with this look. But when it was all finished it gave me real stoner art vibes. Haha! Like tie-dyed art with pot leaves. Do you see it, too? Here is a look at the watermarble design before the stamping. It's good but there were some bubbles that made me not love it completely. 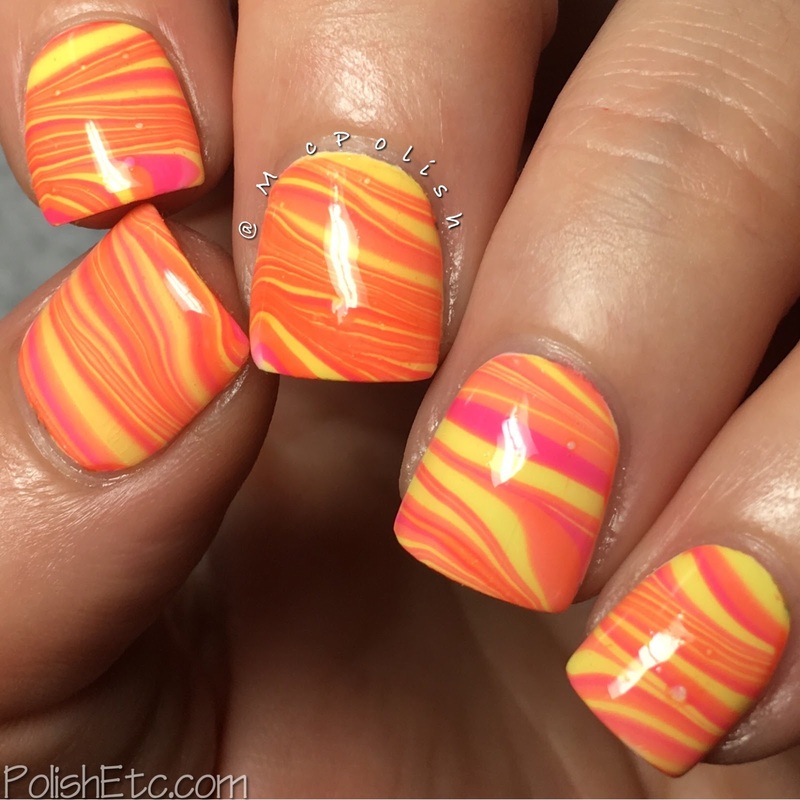 How did you do for the watermarble challenge this week? 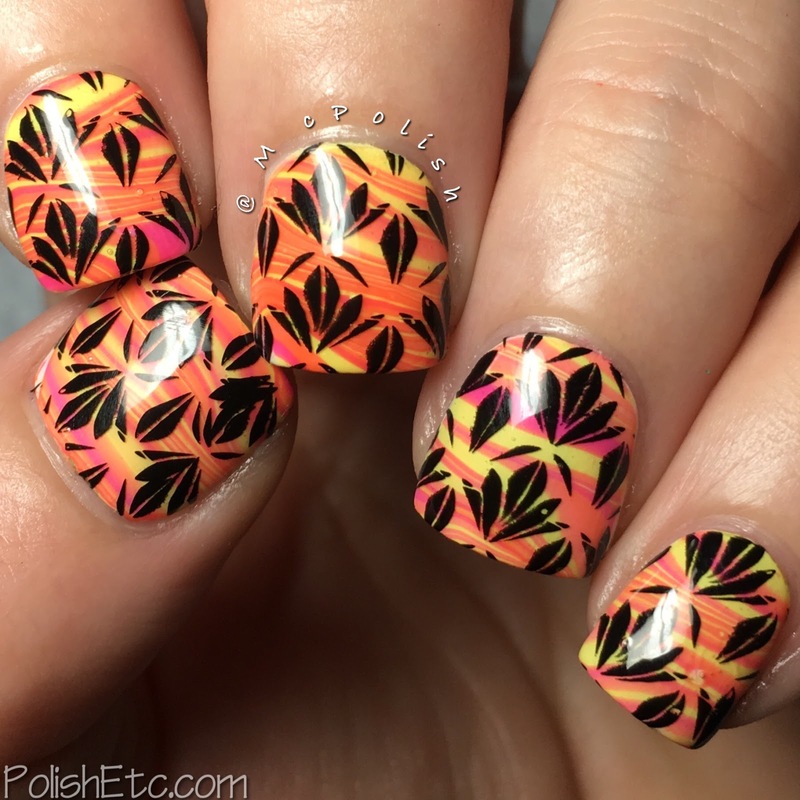 Do you enjoy doing watermarble nails yourself or just looking at them? Be sure to check out all of the other nail artists participating in the weekly challenge this year. Just check out the tag #31DC2017Weekly tag on Instagram, Facebook and Twitter.